Transnational Migration, Farmworkers, Mexico, Modern Canada, South Pacific Region, Late Colonial Peru. U.N.A.M. Escuela de Extensión en Canadá, Gatineau, QC, Español Básico 1 and 2, 2010 and 2011. M.A. History with Credit, University of Otago, Dunedin, New Zealand, 2007-2008 (specialization in Pacific Island and New Zealand labour history / oral history). B.A. Hons. History, University of Manitoba, 2001-2005 (specialization in World History). “Teaching the Holocaust in an Uncertain World.” Review (Open Access) of Jordana Silverstein, Anxious Histories:Narrating the Holocaust in the Twenty-First Century, Anthropology Book Forum (American Anthropological Association), August 2015. Mexico’s Revolution Then and Now (Review) by James D. Cockcroft (Monthly Review Press, 2010) in 2013 edition of Alternate Routes, Carlo Fanelli and Priscillia Lefebrve, eds. (Red Quill Books, 2013). The Ecological Rift: Capitalism’s War on the Earth (Review) by John Bellamy Foster et. al. in “Uniting Struggles: Critical Social Research in Critical Times,” 35th Anniversary Edition of Alternate Routes (Red Quill Books, 2012). “Harvest Histories: Mexican Agricultural Labourers in Canada Since 1974.” PhD Thesis, Carleton University, 2015 (Forthcoming). “Colonized Pasts, Labour Circuits, and Post-1945 Mobility to New Zealand: A Case Study of Samoa and Vanuatu.” M.A. Thesis, University of Otago, 2008. “Mapping Displacement and Belonging: Wartime Japanese Dislocations through the lens of Emotion, Memory, Place and Identity,” Accepted for Presentation at The West Before (and after) the West: A Meeting of Western Canadian Studies. St. John’s College, University of Manitoba, Winnipeg, November 5-7, 2015. “Mexican Interwar Farm Labour in the United States: Toward the Bracero Agreement,” Canadian Association of Latin American and Caribbean Studies Congress, Critical Pan-Americanisms ­ Solidarities, Resistances, Territories, San José, Costa Rica, July 8-10, 2015. “Chinese Plantation Labour in the Western Samoan Colonial Past: Re-reading the German Period,” Conference Pierre Savard, University of Ottawa, April 23-25, 2015 and University of Toronto 11th Annual Graduate History Symposium, May 7-8, 2015. “Sourcing ‘Offshore’: The New Face of Canadian Migrant Labour,” Alternate Routes Conference Labour Pains, Capitals gains: The Paradox of Low-Wage, No-Wage Work, Ryerson University, Toronto, March 27, 2015. “A Re-Assessment of the Successes and Failures of the Seasonal Agricultural Worker Program in Canada with Attention to the Perspective of Mexican Migrants,” Canadian Association for Latin American and Caribbean Studies Congress Environments, Societies, Imaginaries: The Americas in Motion, Quebec City, May 16-18, 2014. “Rereading Intercolonial Trade and Slavery in the 18th Century French Atlantic,” Confronting Crisis: Left Praxis in the Face of Austerity, War and Revolution: Historical Materialism Conference, York University, May 8-11, 2014. “Locating Seasonal Migrant Cultural Formations in Central Otago,” Migrant Labour Panel 4A, 2nd Annual Place and Placelessness: A Virtual Environmental History Workshop coordinated by the Network in Canadian History and Environment (NICHE), Co-ordinated through York University, Oct. 7-8, 2011. “Grape Vines and Orchard Lines: Locating Migrant Voices in Central Otago,” New Zealand Historical Association Annual Conference, Massey University, Palmerston North, New Zealand, November 2009 and World History and Historical Materialism International Conference, Department of History, University of Manitoba, March 12-15, 2009. “New Zealand and its Satellites: Pacific Diasporas of Labour since 1945 ­ the Experience of ni-Vanuatu in Central Otago,” Departmental Seminar Series, August 2007, Department of History, University of Otago. Peter Browne Memorial Scholarship 2014/2015, Carleton University. Graduate Student Travel Research Bursaries, Carleton University, 2010, 2012 and 2014. Entrance/Graduate Scholarships, Carleton University, 2009-2014. Commonwealth Scholarship for Scholars from the U.K. and Canada, University of Otago, Feb. 2007-June 2008. University of Otago, Department of History Travel bursary for oral history and archival research in Central Otago, Wellington, and Auckland, and Apia, Samoa, 2007. Leader of Tomorrow, Chown Centennial Entrance, University of Manitoba, 2001. Fessenden-Trott Scholarship, Isbister in Arts, Robert Alan Kennedy, UMSU, and U of M Alumni Association Awards, W.D. Smith History Undergraduate Essay Prize, Klieforth Prize in American History, University of Manitoba, 2001-2005. Modern Canada (G. Buri), Fall 2015. Introduction to Modern World History, 1500-1800 (J. Gibbings), Winter 2014. Twentieth Century World (A. Neal), Fall and Winter 2013-2014. Introduction to Modern World History, 1800-Present (J. Nallim), Fall 2013. Working for a Living (D. Camfield), Winter 2014. Introduction to the Canadian Labour Movement (D. Camfield), Fall 2013. Modern Latin America (S. Lipsett-Rivera), Winter 2013. Colonial Latin America (H. Rompre), Fall 2012. Introduction to Canadian History (M. Hogue), Fall and Winter, 2011-2012. Introduction to Canadian History, (M. Bellamy), Winter 2011. History of Women and Gender in Canada (M. J. Barber), Fall 2010. Modern Latin America (C. Rivas), Winter 2010. Colonial Latin America (S. Lipsett-Rivera), Fall 2009. ANZAC and its Legacy: New Zealand and the First World War (T. Brooking), Fall 2007. Research Assistant for Allan Levine, Coming of Age: A History of the Jewish People of Manitoba (Winnipeg: Jewish Heritage Centre of Western Canada, 2009), June-August 2006. 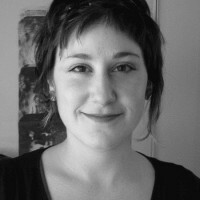 Undergraduate Student Representative, Search Committee for Professor of Modern African, Department of History, University of Manitoba, 2004-2005.
historical patterns in migratory farm work, my dissertation reworks the historical record and understanding of migrant labour in Canada by addressing gaps in the official archive and deficiencies of media portrayals of the foreign farm workers.